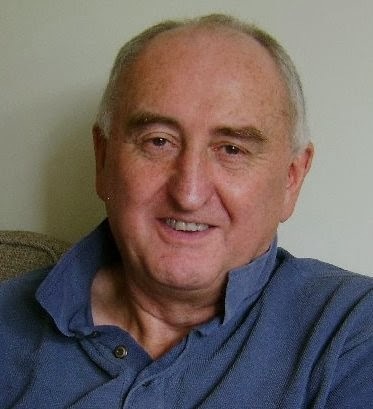 As promised, I am delighted to present a piece of writing from Alan Bedford, for an extra mid week blog. The A Graceful Death exhibition has benefited enormously from help, advice and suggestions from Alan over the years. In his professional life, Alan has dealt with situations and problems that most of us would rather not have to know about. His main area of expertise is in Child Protection, and alongside this, he has had much to do with Hospice work, and the NHS, and so has been very valuable to the A Graceful Death exhibition from the very start, and continues to be so. Over to you Alan. Having just read an article about the over-medicalisation of death, Antonia Rolls (of A Graceful Death) suggested I wrote down my own thoughts from a personal and professional perspective. I watched both parents die, one in hospital and the other in a hospice, I ran health services mainly as a CEO for 18 years, have advised the NHS on quality and efficiency for a further 9 years, and have nearly completed 9 years as a non-exec director of a local hospice where I chair the clinical governance committee. My other area is child protection, with a first career as an NSPCC social worker and manager, and currently as the author of Serious Case Reviews when a child has died or been seriously hurt and there are concerns about professional working. I was struck by the links between the tendency and temptation to over-medicalise dying, and the risks of missing the message being given by abused children when they display physical symptoms or behavioural disorders. Sometimes the search for a medical ‘cause’ of the problem can overwhelm the more sensitive and less tangible attempt to understand what the child is saying through their ‘illness’. I can see similarities between the tremendous effort to prolong the life of the terminally ill at the expense of letting nature take its course and making the best of one’s last days, and the effort to diagnose the symptoms shown by vulnerable children when they may just need their pain through abuse to be spotted and ended. I see in some case reviews the illness or developmental delay or ‘bad’ behaviour shown by children in response to the abuse they are receiving. Often abuse not fully recognised by the helping agencies. It is the child’s way of communicating their pain, and sometimes the professional response is to deal with the child’s presenting problem and try and tackle that, instead of really working out what is going on within the family. This tendency is particularly evident when the parents are ‘difficult’ or challenging or frightening, and professionals find it hard to move away from the symptoms shown by the child to the major dysfunction in the parent- child relationship. When the focus is on, say, one child’s problems there is a tendency not to look at the whole family. Professionals also find it hard to challenge parents in case they hamper their ‘relationship’ with them. The end result is that the true extent of the abuse is not recognised for a long time as no one gets to the root cause of the child’s problems, or thinks deeper about what messages are being given by the symptoms shown by the child. In such cases, the parents often encourage professionals to work ever harder, with say, their child’s behaviour or weight problem, and this can reflect the conscious or unconscious wish of the parents to deflect from their own contribution to the child’s predicament, or the parents unwillingness to consider their own feelings about what is happening in the family. I think that there are similarities with the care of the dying, where professionals feel the need to treat whatever is about to kill the patient (as it’s their job to do good) and family members want everything done to try and prolong life and treat the illness--and often find it hard to recognise that such effort may make life worse for their loved one. The focus on the medical issues, with good intentions, then consumes effort which might be better spent in helping the dying person experience whatever it is they want to experience at the end of their life. It can also be at the expense of the family members enjoying, for want of a better word, a time with their loved one where the death is accepted as inevitable and they are helped as they go through this natural, painful, but for many people, lovely moment, as death is approached as a family. As with child care cases, professionals can find it hard to focus on what the whole family needs. If the focus is on treating in a way that is ultimately futile, the patient may experience more discomfort and miss a ‘good’ dying process with their family. (I am not talking about pain relief when I refer to ‘treatment’ but to measures which are aimed to prolong life which would naturally end soon). In my health work I have had much involvement with complaints, where families often think the professionals have not done enough to treat or even rescue their loved one. In some cases, of course, professional work could have been better, but my impression has been mainly that the distress over insufficient medical care had actually disguised the psychological pain of the soon to be bereaved family – who in their battle to get that bit more treatment have actually missed getting the best experience possible for them and their dying relative. And if the relatives are ‘difficult’, the professionals can work harder on the clinical issues to satisfy them, just as difficult abusing parents often push their professional workers to focus on the child’s ‘problem’ rather than what’s going on in the whole family. How can all this be changed. Not easy! In my view it’s not something that will be sorted by hospitals which are too busy, and rescue focussed. The answer lies much more in creating a culture which accepts death as inevitable and a process which supports the dying and their families make the most of their final times together. It’s why Antonia’s developing thinking about the end of life companion role - which can be done by professionals or by volunteers or someone from the local community is so important. This is because the more the dying person can be assisted to do, think, express what they want and relate well with those close to them so worried about the impending death, and the more relatives can be facilitated to have an open honest and fulfilling time with their dying loved one, the less it is likely that there will be demands for professionals to ‘do’ more and more to prevent the inevitable death happening for a little bit longer. In other words what is most important is the emotional handling of the process, not a few days or even weeks that might be achieved through uncomfortable and unnecessary interventions. I will end this brief piece – which will need fleshing out in due course-- by sharing a couple of experiences from my own family which were far more important than if Mum or Dad lived a bit longer. My Dad died of bowel cancer – in a hospice, drowning in lungs full of pneumonia. Any desperate effort to prolong his life would have been futile and cruel. I wanted him to die and be out of his suffering. Just before he did he was talking about his beloved Hull City FC, whose scores had determined his weekend mood for 30 years. In a brief moment out of his coma my brother asked if he remembered what had happened nearly 20 years ago that day (Good Friday). He said that ‘the Southend fullback had scored from the half way line and that was that’. Like that match, his support for the club usually led to disappointment, but as he said year after year, ‘there’s always next season’. As he lay dying at the end of another disappointing football year, and he talked to my brother about it he said, clearly knowing that he was leaving us soon, ‘There’s always next season’- and those moments he shared with my City loving brother were worth more to both of them than a little more time with us in discomfort. My mother died of the hospital acquired C Diff (and it was an amazing opportunity that the NHS asked me to spend the next three years leading the fight against C Diff and MRSA in the east of England). My son had a difficult late adolescence and early adulthood and hadn’t seen much of his beloved Grandma and she was hugely worried about him As she was dying he spent a day with her and they really got to know each other again, and she died having decided he was wonderful after all, and so talented. He made amends for the gap in seeing her, and they re-lived the marvellous times they had when he was a child. Both of them moved on to very different places fulfilled. I am glad they had time for this as the hospital had stopped trying to rescue her. I suppose in the end it’s about balance- balance between treating where it can make a real difference, and building in the expectation from early on that what is important are the relationships with and around the dying person, and allowing time for this to happen. Getting the emotional process right is so much more important than prolonging life briefly, especially if doing so uses up the time and effort needed for that necessary process. Zen, Cold, but Effective. The Artist Extraordinaire this Week. Just for today, my usual special sofa in my sitting room, is free. I am sitting on it now, surrounded by cushions but no blankets. No, all the blankets are in use. Each room in my house has been rented out to a person who has agreed, somehow, to live here. This room, in which I sit, my own special sitting room from which I write and plan my days, is free for today only, but taken tomorrow. In the hours before my next paying guest arrives, I sit amongst my bits and pieces in my favourite room, and write to you. I have no blanket because all of them are in use wrapping my other lodgers, guests and family members as they snooze happily on my floors, sofas and in my spare beds. And so, because I think laterally, I have on my coat, my thermal socks, and some very stout fleece lined boots. Next to me is a bag, and in the bag are my gloves, scarf and hat. I am very Zen today. It is all as it is. Why do I need so many things to stay warm? Because my heating and hot water has become vague and sporadic. There is enough hot water to suit the household if I tweak some knobs, but the heating is very half hearted. No one else in the house feels the cold, and so I have left it, and have begun to wear many layers as I do feel the cold. This list will take up an entire day, and that is fine. The blog is self evident. I am doing it now, despite the constrictions from such a large heavy coat and scarf. The Fairy is the next True Fairy, who started to materialise in the studio last night, and is mainly white and yellow. She is as ever, lovely to me, and must be continued while there is daylight. She tends to get a bit exaggerated in artificial light, and it is terribly important that she is simply perfect. The pork shoulder is a challenge; I want to look up a good recipe to cook the blasted thing so that Giant Boy has a treat. I am very unsure of pork shoulders, being a vegetarian and not very connected to meat, and so having got this amazing gift for my boy, I have no idea how to make it sing, so to speak. The journey of a thousand miles, I am told, starts with a single step. I will cook this pork shoulder, and the boy will bow low to his mother's skill. Preparing the room for the Silent Pole will not take long. In last week's blog I explained how a silent, elusive, and private Polish man comes periodically to stay in my house while he works over here. We never see him once he is here. We know he is around because of the lonely ping of the microwave in the early hours of the morning as he heats his single sausage. Sometimes we hear the echo of slippered feet as we turn the corner, but when we look, no one is there. If we stand still, we can hear the faint tapping of a laptop and the gentle sigh of a Polish man hard at work, in the ether somewhere vague and distant. I will move my laptop and books from this sitting room, make a bed on the sofa, and hand it over to my silent Polish man, who will, quite appropriately, arrive tomorrow when I am out for the day. Giant Boy will let him in. If Giant Boy is out, he will waft through a crack in the door, he knows where to go, and all will be well. Have I led you to believe that this week is all about pork shoulders, fairies and Polish men? Ah. Zen. In a flash I shall tell you about the other busy side to my week. A Graceful Death is coming to Brighton. I am delighted to link the exhibition with the Dying Matters Coalition who will help with the promotion, and are happy to be linked with us. I went to London to meet with them and had a very cheerful and productive meeting. AGD is showing during Dying Matters Awareness Week, and as such, will be given help and support. The dates and venue for this next exhibition and project are Tuesday 20 May to Friday 23 May inclusive, at St Peter's Church, Preston Park, Brighton. The theme of this year's Dying Matters Awareness Week is You Only Die Once (YODO). I will build this theme into the exhibition. I have asked for someone from Dying Matters to come and launch us on the opening night, which they didn't say no to, though I expect they will be a bit busy that week. But you never know! Zen, a thousand footsteps and all that. Dying Matters has asked me to write a guest blog for them. I said Is the Pope a Catholic, and so it was settled. In April, I will write of AGD and the work I do within it, and the effects of working in the way I do with the dying, through art. This ties into the AGD Brighton event, and will I hope, interest more people to come along. Of course it will. They will be arriving in Winter coats and hats, and fighting to get in to take part. I have written my first article for an on-line publication. A lovely journalist contacted me from e-hospice, to talk about AGD. The end product is that I have written something that will be published in two parts over Monday and Tuesday of next week, on the origins, the people, and the effects of the A Graceful Death exhibition. Over the next few months, e-hospice will link to the videos filmed by Eileen Rafferty, of the sitters talking to me about the end of life, as part of the project. They will also link to Lizzie Hornby's music which has been composed specifically for the exhibition, and to the articles, poems and words that people have written to be included in each event. This is to prepare for the Dying Matters Awareness week AGD in Brighton, which this journalist will then cover. I met with a documentary film maker, a lady who is, I think, very brave and clever, in Oxford. Along with two other Soul Midwives, one of whom had arranged the meeting, we talked over what work we do for the end of life, and she, being thoughtful, listened and asked questions. She is wanting to make a film about Soul Midwifery, and this was one of her first meetings with us. Her previous documentary was about the lives of the women in Amsterdam's red light district. We will get on well, she is not just a pretty face. I hope to be in this documentary. I would. She is also coming to the AGD Brighton event, to see what it's all about. "A day of thinking about Death - confronting a few taboos, some myth busting, how to lighten the environmental impact of funerals, and providing an informative and open atmosphere for questions and debate. It will be a multi-faceted event, covering many aspects of Death and Dying. A welcoming day for all of the community, including families, health professionals, a diversity of faiths - an engaging, colourful, reflective and creative day with music, poetry, paintings, funeral planning, food, lectures, discussion groups, talks, coffin painting, will making, sugar skulls decorating , film screenings and more! ...all in all, a 'Dead Good Day out'. " "I was struck by the links between the tendency and temptation to over-medicalise dying, and the risks of missing the message being given by abused children when they display physical symptoms or behavioural disorders. Sometimes the search for a medical ‘causes’ can overwhelm the more sensitive and less tangible attempt to understand what the child is saying through their ‘illness’"
Alan not only writes Serious Case Reviews in child abuse cases, he has been 9 years a director of a local hospice. Look out for it, it will be a very good read. In the meantime, chill. Literally. I am. Just on my way to the kitchen for a cup of tea and to gaze at the pork shoulder. Whenever I write a blog, I am wrapped up in a blanket and surrounded by cushions. This week I am on my bed upstairs. The studio is too cold and the sofa still has my wee London friend on it, so I am on my bed. Aha. Fluff, blankets, cushions, hot colours and a bowl of food. We know who lives here. The house is still full of people. I have my four lodgers and Giant Boy; all the bedrooms and spare corners of the house are rented out, and my tiny friend Fatema from London, who is living in the sitting room on my sofa, will be leaving on Monday. By then, her life will be back on track. Monday morning, I will tidy up, because the next person, an old friend of the house, may be returning. He will be, if he turns up, living on Fatema's sofa for the next however long he is here. We call him the Silent Pole, and he has been staying with us in Bognor on and off for years. This very quiet and private Polish man likes to work all day, all night, as a graphic designer, and to be as uncomplicated as possible. Once here, no one ever sees him again. The microwave pings in the middle of the night, the Silent Pole has come out from under the sofa where he lives, and is heating a single sausage for his dinner. He travels light, and stays here till suddenly, one day, he has to go. And off he goes, with his laptop under his arm, his single back pack on his shoulders, in the same clothes he arrived in, and a cheery wave goodbye. He arrives under his own steam, with just a small bag, and a strangely complicated love life somewhere else, and settles into whatever corner he is given until, one day, he has to go, and goes. We are all very fond of him here, his manners are impeccable and I like how independent he is. I will make sure everything is ready in case he arrives when I am not looking. The microwave will ping in the early hours one morning, and I will know that Ah. The Silent Pole is here. He has arrived. He is eating his one microwaved sausage. All is well. It has been a very good week. I have met some very inspiring people at the Dying Matters Awareness Week launch, and am following them up. A Graceful Death is being talked about more now, and I am glad that I am no longer painting for it. It means I can concentrate on setting it up in as many places as possible, and organising all sorts of events, workshops, talks, discussions on the end of life, to compliment the paintings. The films by Eileen Rafferty, Neill Blume and the music by Lizzie Hornby are absolutely wonderful. They enhance the exhibition and show how the creative response is so important to deeply felt, deeply feared and often avoided feelings around death and dying. I am meeting with Dying Matters next week to see how they can help AGD over the Awareness Week. Helpers also include Jackie Keogh, who has helped AGD so much. If you remember, Jackie had her head shaved to raise money for AGD in September. She has been treated, successfully, for breast cancer and shaved her hair for us before the chemo got it. Jackie is affectionately known as Fluffbucket, no one knows why. We love her whatever she is called. The dates for the next big AGD are 20 to 23 May, at St Peter's Church, Preston Park, Brighton. Team AGD will be sorting out the event and you will all be the first to hear once we know what the agenda will be. The True Fairy 2 is a bit blurry, but you get the idea. She is painted on canvas so she won't fall off the wall. The True Fairy 1 was heavy and can bounce, this one is light and can waft off on a Summer breeze. I am going to do a True Fairy 3 next, in all white. I just love these Fairies, probably because it is all about me. I reckon I'm ever so interesting, and long to explore myself more. I will probably never tire of it, and by the time I die, landfill sites will be straining under the weight of True Fairies because that Artist, you know, the self obsessed one, who lived in Bognor, wouldn't bloody stop painting them. But they are good for me. I keep painting each fairy over and over again, until the right image is looking back at me. The right face, the right pose, and the right colours. I like the words on this one too, and see myself adding words to more of them as they appear. As I get older and older, and more and more forgetful, the writing will probably say things like Eh? What? Where did I put my dentures? Who? Those ones will probably go for a fortune, as I will no longer be able to interact with other people, and no one will be able to tell whether I am doollally or profound. Some of my later Fairies may even have my shopping list on them. (Eggs, butter, milk, Frosties). Giant Boy has been teaching Wee Fats to box. (Fatema has been living on my sofa this week, remember?) Wee Fats is loving it. Fats needs to work off her frustrations with life, and has been known to stamp her feet and shout. Boxing, it seems, is the answer. Let me show you Fats and Giant Boy, and you can decide who has the advantage. Yes, this is what I mean. Fats is, of course, much prettier than Rocky and we don't have pictures of Lenin on the wall as inspiration. I have also my Jesus on the Tubes to do, last week there was a Half Price Double the Love Jesus on the Tube offer for Valentines. (There is still time if you want one, I need my orders in before 27 January.) They will start on Monday. 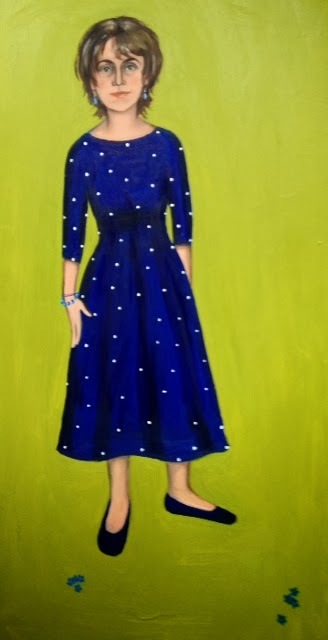 Plus a painting of one of my lodgers who is having herself done for her Grandson. And all the while, quietly, when no one is looking, the Silent Pole will come through the letter box like mist, and the only way we will know he is here is the gentle displacement of air before the front door closes, and the lonely ping of the microwave in the night. The True Fairy 1 is here, she flew into the studio and took shape and now will be taking her place in the house. I have to find a way to fixing her to the wall properly, as she has been a bit temperamental so far. She fell off the wall outside the kitchen this week, so I consider her strong and heavy, and take it as a sign that her character extends even to the wood she is painted on. Strong, heavy and can bounce. 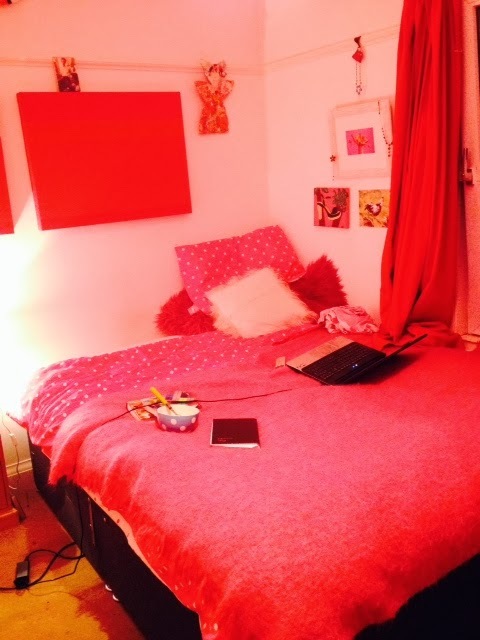 This week I am writing from my studio, wrapped in an enormous woollen blanket of the softest and warmest raspberry pink from Dublin, and a posh scented candle burning in the corner. The True Fairy 2, three quarters completed, is on the easel next to me, and in my office, a certain order reigns. The most important thing in the office, apart from the order that I have created at last, is the Plan that is sitting on my desk. I made a plan. My plan is flexible, and expansive, and good, and mine. Outside, the sky is low, bleak and grey and the cold is biting. My studio is warm, and silent, and kind. I like it here. This morning I queued from 6am in the dark and cold in the car to do a car boot sale. Oh goodness, we didn't set up till 8.30. At 8.30 on the dot the temperature plummeted, the wind picked up, and everyone groaned. As soon as the cars began to park and unload, the sky turned dark and no one could see properly what they were doing. Perhaps that is why I sold a shed load of pieces of wood, old pots, place mats, plastic piping, off cuts, off casts, gravel, and wood shavings. No one could see properly, it all looked very special and mysterious in the gloom. No, I didn't sell gravel and wood shavings. But I did sell my coat, so that was a bit of a surprise. So no wonder I like my warm, silent and kind studio. Which is just as well! I have another lodger moving in today, who nearly couldn't because yesterday when he was due, he had no money. What a good lodger for me to have. He says he has some today and can he move in at 3pm. Yes, I said, and the whole household is waiting for him in case he loses it again in the next half hour and has to cancel for the second time. A dear old friend from London arrived on the doorstep too, needing to stay and think things over. She lost her job on Friday afternoon and by Friday teatime she was living in my sitting room. That is why I am not on my sofa, I am in the studio, and thinking it a jolly good move. So the warm, silent and kind studio is the place I shall come to as my house has filled up with people who need to live there. Giant Boy seems unperturbed, he likes to greet new people by standing silently squashed in the door frame which is too small for him if he stands up straight, to prove how tall he is. If they still want to live here with him lurking in door frames, I let them. As I write, my niece has just messaged to say she is coming, and my other son, the one who was Angry Boy and now is not, who is Changing Boy, is also on his way here. If this turns out to be a very long blog you know I am avoiding them all. (I can't come and feed you all, I am on only page 25). I told you last week about the need to stop, and now I am going to tell you about the need to start again. There was no great moment of clarity, there was no sudden twitching of the limbs and shooting out of the door to rush about, but there was a decision that now is the time to move on. I simply decided to stop resting and start moving again. Having made the decision, I had to take tiny steps; having disconnected with my work for six weeks, I didn't know where to begin. So that is when I made my plan. My plan is full of spaces, as that is precisely why I had to stop before Christmas - no spaces. Just the urge to do more and the fear that I was never good enough. Oh well, six weeks out of the loop has given me some insight into that. We can always do more, but if we are busting a gut already, we lose our perspective and go pop. And as for not being good enough, well, it's great to improve, which is about positive expansion of mind, body and soul, not about neurotic navel gazing, which is fear based. So, the plan now, for me, says amongst other things - At the end of the day, go and read your book. And it says - At least 2 days a week are dedicated - dedicated I say - to painting fairies. Here, for both yours and my benefit, are the plans. I will start with a special offer which you will love. I need requests in by the 27th of this month to have them done by 14 February. Special Offer that you will love. Jesus on the Tube Valentine Offer. Half the Price Double the Love. 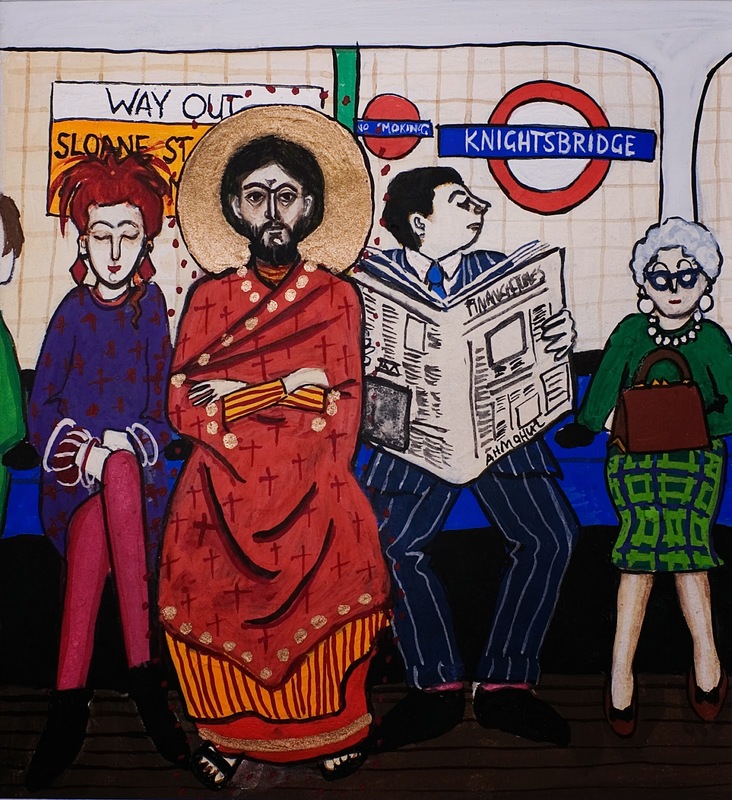 Jesus on the Tube, by is a painting with a life of its own. The original was painted 20 years ago, and has since then travelled the globe promoting discussions about Jesus in our world and how we relate to him and each other. It has been used as a teaching aide by the BBC, Alpha International, RE Today and is used for teaching children RE in the National Curriculum. I paint portraits of families and friends with Jesus, at a station of choice, and consider this a wonderful example of Jesus moving amongst us. Even Rowan Williams, when he was Archbishop of Canterbury, had one painted of him and his family. Half the Price Double the Love Jesus on the Tube Valentine offer. Jesus is the embodiment of love, Valentine’s Day celebrates love, and so I offer you your own personal Jesus, on a Tube Train, at a station of your choice, with you and/or your friends and family, for half the normal price. 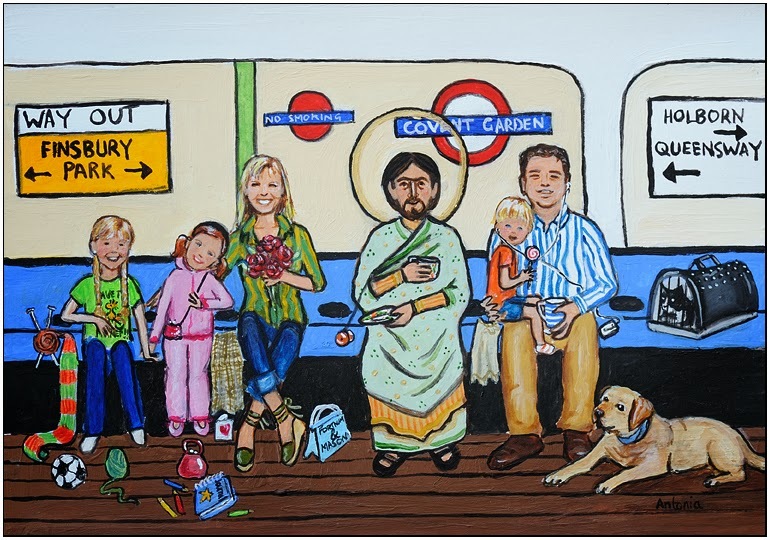 Normal Jesus on the Tube prices start at £800, yours will be £400. Price includes framing and P&P. The first 5 people who contact me before Monday 27 January will be successful. Have photos ready, and choose your Jesus and Station, and contact me asap. Email me on antonia.rolls1@btinternet.com and be one of the first five. Size of actual painting is 5”x 5”, the frame will add a good few inches. Painted from photographs in acrylic on paper. Website –www.antoniarolls.co.uk Love! It works! AGD will be coming to Southampton for the day, taking part in "A Dead Good Day Out" on the 10 May in St Andrews Church and Hall, Avenue Road. My dear friend and Soul Midwife Mandy Preece will also be taking part in this day. St Peter's Church in Preston, Brighton will be the venue for AGD during Dying Matters Awareness Week, 20 to 24 May 2014. We will be showing portraits of people facing the end of life, with conversations between me and the AGD portrait sitters, filmed by Eileen Rafferty, our AGD photographer and film maker. There will be talks, discussions, workshops on matters to do with death and dying and our reaction to it, and how we can face it in our families and our own lives. Sound Therapist Sarah Weller who is a great success at all our events, will also be giving one of her much acclaimed sound workshops. We are also hoping to have the composer Lizzie Hornby playing the music she created for A Graceful Death in concert, on the piano. Lizzie's work is haunting and joyful and beautiful. Well worth coming to hear her play. Dying Matters Awareness Week Launch Event in London, called You Only Die Once. I am hoping to write a small piece for the Dying Matters blog on AGD in Brighton, I will let you know when it is done. Swansea in October/November. AGD is planning to go to join Soul Midwife and nurse Keira Jones and her husband musician Jim Fox in Swansea, for an event covering more end of life matters. This event will be full of creativity and music, and Keira will talk of her amazing work with the dying as a companion and loving presence. Story teller Jade Parsonage Buck, another Soul Midwife, will, we hope, be coming to take part. Life Boards are back! If you think you would like to come, book yourself in. First one is this Tuesday 14 January, 9.45am to 1pm. Next one is on Saturday 1 Feb from midday to 3pm here. Workshops are 3 hours long, all materials provided. Here in my house or I can travel to you to do a workshop. £30 per person.No more than 4 people per session. Email me on antonia.rolls1@btinternet.com. "Excellent after loss, a life event, or if you just want to see how you are feeling. Excellent too after a change in your life, or if you are needing some time to think. The Life Board Workshops help you to connect with how you are feeling now. Life Board Workshops are run in small, friendly groups. 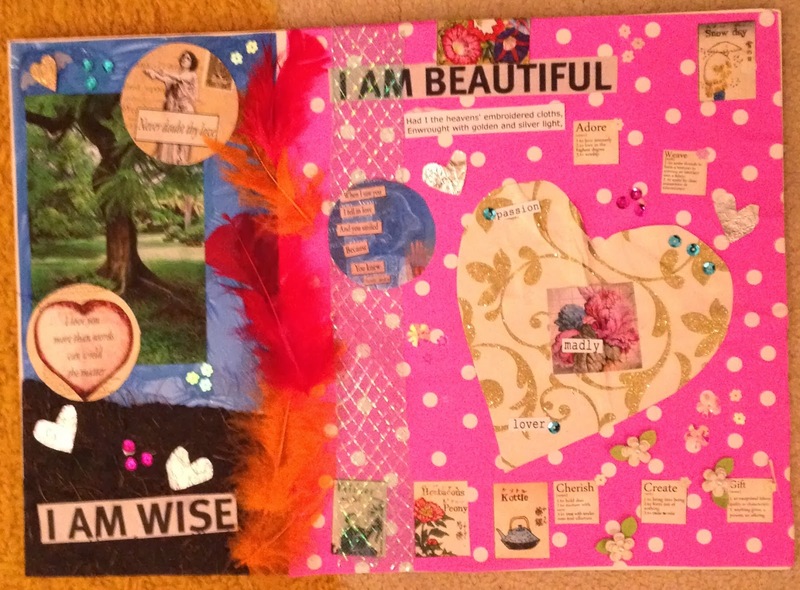 Come and discover more about yourself using colour, words, images, all manner of materials, create a Life Board that reflects back to you more than you imagine. At the end of the workshop, we will discuss what it says, and you will take your Life Board home with you to remind you of how special you are." Life board with wisdom on one side, beauty on the other. A NEW DEPARTURE FOR AGD. Can you help? I am developing a new way of working with the dying, using painting, writing, recording etc, and I am looking for someone who is facing the end of life to work with me while developing the idea. 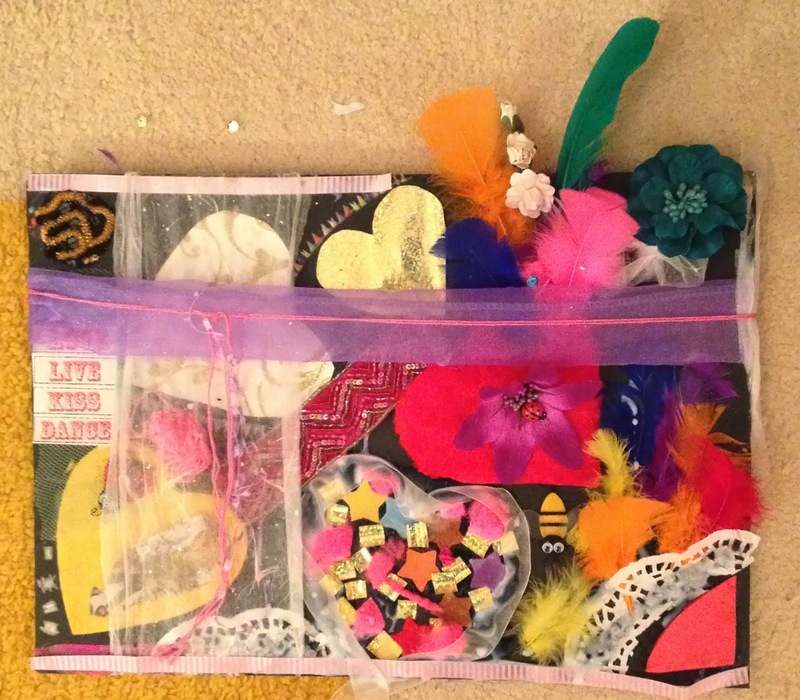 I need someone who is interested in expressing themselves and using creativity to do so. An unusual request, and an important one. Can you help? Do you know anyone - or are you the person to help? Please message me on antonia.rolls1@btinternet.com to talk it over. And finally. I feel the time has come for a cup of tea. I shall wade back into the house, my four lodgers, two sons, one niece, and one friend will have found a way to feed themselves, and I shall feign artistic distraction and go to bed early. I have an early start tomorrow, off to London for the Dying Matters thing and the journalist, with Changing Boy and Distracted Family Friend in the car for the ride, at 6.30am. I shall leave you with the face of the first True Fairy painting. I like her, and she would have no problem having her tea and feigning artistic distraction. I shall go now and do the same. The face of the True Fairy 1 looking at you like she knows something. Well, she does know something. I wonder what it is. It has been a few weeks since I have written a blog, and you may wonder if I became so concerned about the ageing process (the last blog was about ageing http://antoniarollsartistextraordinaire.blogspot.co.uk/2013/12/on-noticing-that-one-is-ageing.html ) that I took time off to recover in a local nursing home. I took time off, yes, but spent it here in Bognor. Today I am back though I suspect I am only half way through my time off, and that, time off, is what I want to talk about today. After taking AGD to Bridport, I began to wind down. By the beginning of December I was having to admit to myself that I had stopped functioning and that I needed everything to stop. I simply could not think straight. The little spring of creativity that bubbles away dried up completely, the excitement about the future left me, and everything turned a shade or two darker. It was not simply that I was tired, it was that I was spent. I had allowed myself to become wrung dry, and there was nothing left to work with. The light went out. I took time off, and stopped. I say that as if it was a decision, but actually, it just happened. The nature of being wrung dry is that you stop making decisions, you just are. You sit there stripped to the basics, and let everything pass over your head. Coming to a stand still over work is quite something. It isn't as if my life was segmented neatly so that if I stopped work, the family part would just continue, the social part would carry on and the other bits and pieces would function quite merrily because all the parts were nicely separate and autonomous. The work section of my life, and I wonder if you are like this, covered every little part of every little bit of my time. I lived my work, and into that slotted all other things. All other things became relevant to what I was doing, they didn't stand alone, anything that was floating about independently was vigourously lassoed back into the great work thing. And so coming to a stand still, where I simply could not do anything at all any more, meant that all sorts of other bits and pieces came to a stop too. And so. Time off. How do you feel about it? Does it make you shudder? Do you long for it? Do you think you can do it, or do you think it is too difficult to manage. Have you already done it, and did it work? Lord, what a paradox. It is a tiny thing to do. And yet it is too big to contemplate. Before I took time off, it was far too difficult to fit it in, it got in the way, it scared me, and it was detrimental. In theory, it's a great idea, all the best people advocate it. Yes, I said to myself, they can say that, they don't have to struggle as much as I do. And time off for them is about making a choice with lots of backup to keep things ticking over. If I stop, then everything will cease, and I will disappear, and I will never, ever, be in control again, everyone will forget me, the whole caravan will move on without me and so time off is actually dangerous. But, one day I just ceased to do anything and that was that. Simple. Which is, I suspect, is how many of us find the value of Time Off. Our little minds, bodies and souls lie down one afternoon and go to sleep. Too much! They say, you pushed us too hard. Now you follow us and lie down and sleep. One day, we cannot and will not tell you when, we will all wake up and start again in unison. And you think to yourself, yes. I will follow you, because I can't remember how to work, I can't remember what I was supposed to be doing. I don't remember anything any more. I realise now that I did not disappear. How amazing! I am still here, and all the things that I could do before, I can do still. Just not at the moment. Oh we fear the stopping of the hamster wheel we are on, we think that if it does stop, if we fall off, that it is only a problem. It is more desirable to be on that hamster wheel than off it. We are on it because we have convinced ourselves that we are indispensable, and though we may be very important, somehow, life will go on even if we have to stop and it doesn't mean that we cease to exist or lose our value. It is funny, but life does go on, with or without us. I am beginning to see that I have feared silence, space and stopping as a vacuum, and therefore hostile, and I have only contemplated it as something to be planned, put in its place, controlled, with a time limit and taking notes all the time I am sitting down and taking my time off in case I miss something. Ha. A wonderfully sentimental photo of me to make my point. 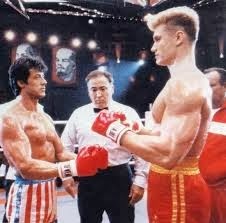 Which is....? It has taken at least a month for me to feel something of the silence around me and enjoy it a bit. I am aware now, when I was unaware before, that I am in a state of transition. All I have to do is sit with it and see it through. All! It is extremely hard. I am aware that this nothing is something I have feared and avoided for ever, and yet, it is not as bad now as it was. The main thing is, that I am still here and despite the emptiness and everything being a few shades darker, I am quite relieved to be out of the loop. I am, I understand, very weary. Sleeping with my wise old soul, and mind, is secretly, a relief. In the meantime, life has been continuing, as it does, and I am noticing things. First, that my Angry Boy is changing and is seeking my company. He is almost, a little, imperceptibly, coming back. And so, second, I am grateful to the point of tears, that this is happening. Thirdly, I have become the weight I always wanted to be and it was not hard. Fourth, a sense that the work I have been doing is completed. The next stage is taking a vague shape in my mind, and that perhaps my mind, my soul, is so much wiser than I will ever be, to stop me when I needed to stop, and let me prepare. Fifth, I have painted two True Fairies, and Eileen says they are good and Giant Boy says they are rubbish. But I have painted them because I felt like it and they are, actually, just right. And finally, for now, being in this place of total emptiness and passivity, is important because if I am to be of any use, I have to know how this feels. I have to experience the nothing, because how can I understand anyone else, if I haven't felt like nothing and still continued to live and not disappear? And so. Back to now. In essence, I am always the same. I found a photo of me aged about one year old that embodies that essence. It is about having always been the true fairy, and keeping an eye on the sandwiches. I leave you with this because at the end of the day, this is what my soul looks like. The essence of the True Fairy lives on. In my soul I am always looking for sandwiches.